The Jackson estate stands to benefit from any financial success that comes from the deal -- but MJ's family is cut out of discussions. 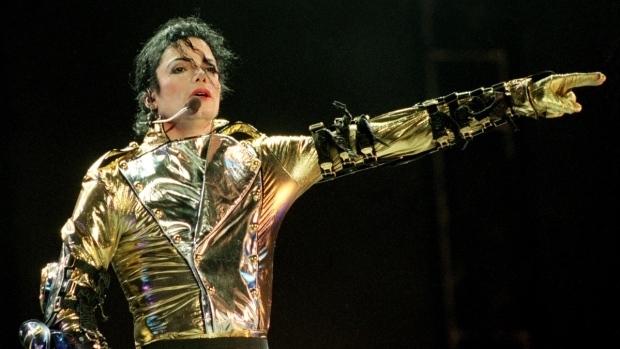 An auction of film rights to the rehearsal footage of Michael Jackson’s “This is It” tour is underway, and Jackson’s family won’t have a substantive say in where the footage lands. Concert promoter AEG was still negotiating with studios at press time, but bids for the movie rights were at a reported $50 million and television rights at $10 million, according to Deadline Hollywood Daily. Although AEG is clearly trying to recoup some costs, the Jackson estate stands to benefit from any financial success that comes from the deal. So why isn’t the family involved? Because no family members are administrators of Jackson’s estate. On July 13, a Los Angeles Superior Court judge denied Katherine Jackson’s request to be named a third administrator for the estate, alongside her son’s longtime business partners John Branca and John McClain. That leaves Branca and McClain “at the helm of the ship,” in the words of Judge Mitchell Beckloff who signed the order, which expires on Aug. 3. Branca and McClain have control over new business agreements and contracts that relate to the estate, and a judge then has to approve any new deals. While it sounds strange that Jackson’s family might not have a say in what happens to the final concert footage, it does move the decision-making process along. Another point of interest: When the Jackson estate makes money, so do Branca and McClain. “In addition to out-of-pocket expenses to manage and settle the estate, executors of the estate are entitled to a statutory fee of 2-4 percent of the probate estate,” Krill said. And don’t worry about Jackson’s debts impacting that percentage. “Under California law, the fee is calculated on the value of the assets; liabilities are ignored,” said Krill. Reps for the Jackson family and AEG did not comment by press time. Paula Abdul out of ‘Idol’? Paula Abdul’s manager told the Los Angeles Times that “it does not appear that (Paula’s) going to be back on ‘Idol,’” because she hasn’t received a new contract from the show’s production companies, FreemantleMedia and 19 Entertainment. Come on, “American Idol,” you don’t want to protect the only unpredictable part of your show, which happens to be the only part that reliably makes for good television? Your idea of really shaking up the formula is to give judges the ability to save a singer, yet you’re willing to lose one of the original judges? Really? This notion is confounding and makes my head hurt, which is why I’m not buying it. The timing is just too suspect. First, we’re hearing about this from Abdul’s manager, when scores of loose lips could have leaked information about a real right of refusal situation once one became apparent. Also, this announcement comes on the heels of reports that Ryan Seacrest just signed a three-year deal worth a reported $45 million. Abdul has done plenty to make us think she’s riding the crazy train, but not fighting for more money when Seacrest might be making $15 million a year would mean she’s bought a one-way ticket. So for now, sure, there’s no contract. At least there’s no contract that’s acceptable. In the meantime, I await the news announcing that she’s coming back.